Bill is a friend of ours. 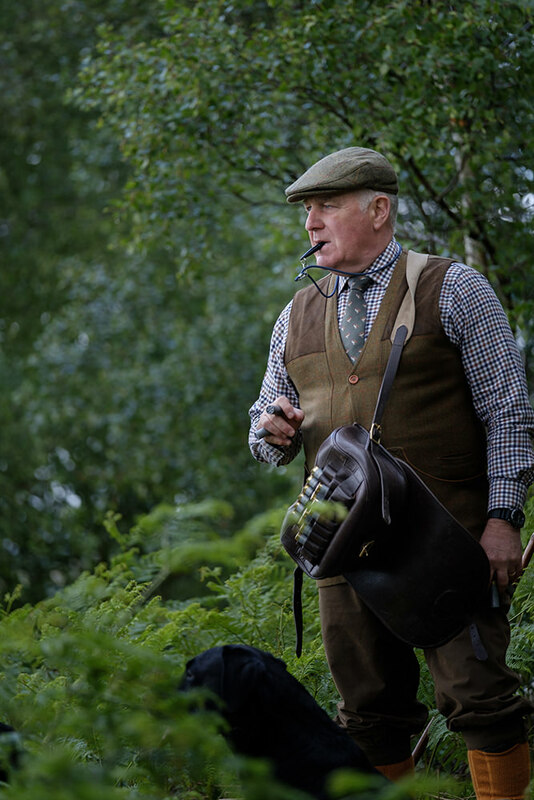 Bill has been shooting since he was 8 years old on his fathers Shropshire syndicate game shoot, he is a former police specialist firearms officer whose duties included close armed protection of H.M. The Queen and other members of the Royal family and dignitaries. 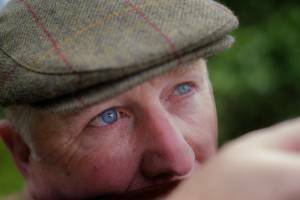 Nowadays he is the lead instructor and director of High Bird Shooting Limited and an Instructor with The Association of Professional Shooting Instructors. 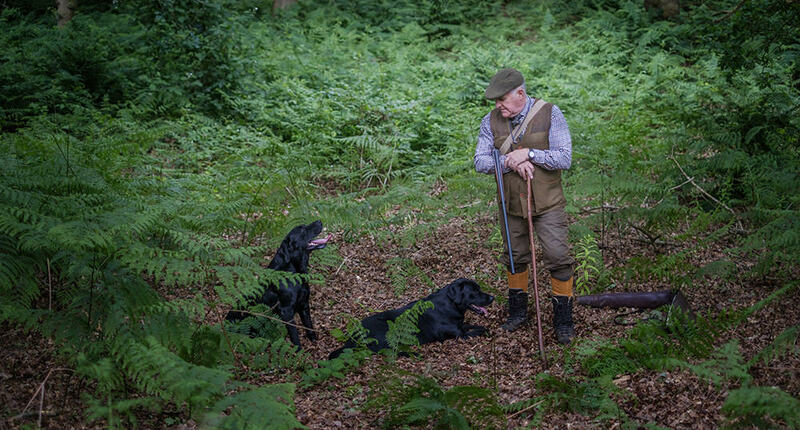 His fifty years experience in driven game shooting, pigeon decoying and wildfowling is second to none. Which is why we were keen to take his picture in his work place. 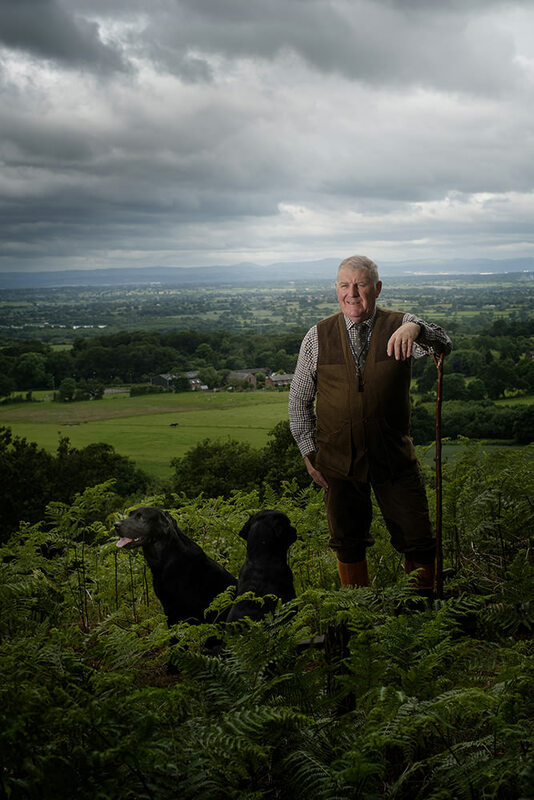 An example of environmental portraits Cheshire. We wanted to tell more of Bill’s story, we wanted to put a bit of ‘meat on the bone’. 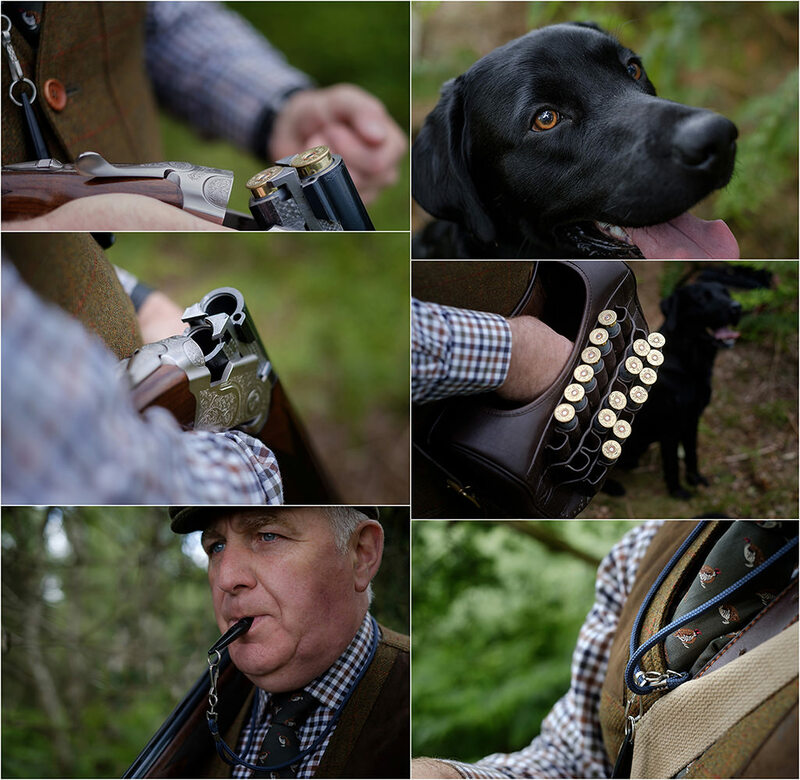 We wanted to include his dogs, his gun, his tie. You can tell a story with photographs by focusing on the detail. We call it ‘picture story telling’, we apply the same theory that we use in our film making, we shoot the main scenes and then add flavour with cutaways and detail shots.